Nothing says summer like popsicle print dresses, anchor patterned polos, cheery hats, and colorful rompers. Be sure to free up some space in your phone’s camera roll, because the new giggle Style Collection calls for some major baby photo shoots. We’re big fans of giggle’s Better Basics layette sets and pajamas, and now we can’t get enough of their newest collection. 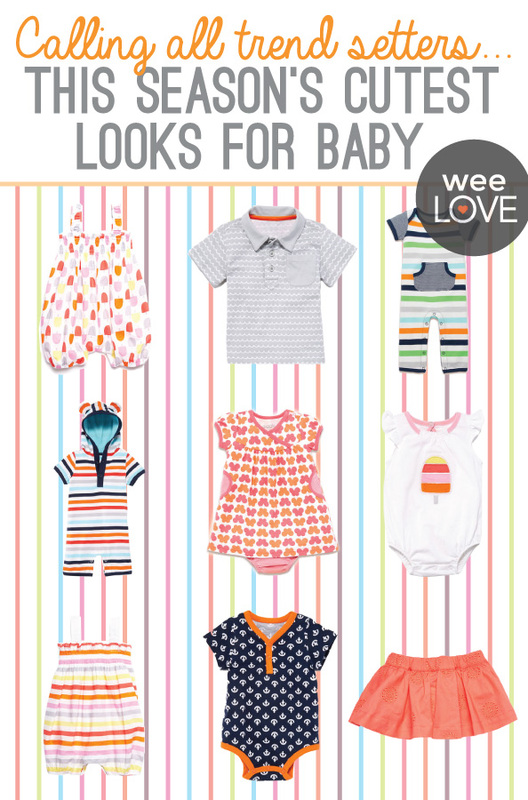 Featuring playful prints and patterns, giggle’s fresh baby summer styles will brighten your little one’s wardrobe all season long. Whether you go for cargo shorts, skirts, dresses or bodysuits (among lots of other pieces), getting your baby dressed for a day out on the town has never been so fun. Known for great quality, comfort, and of course cuteness, a giggle outfit always gives you something to smile about.